With the fall of Jhansi behind them the 3rd Bombay European Regiment, still part of the Central India Field Force, were divided. Part of the Regiment was left in charge of the fortress at Jhansi under the command of Lt. Col Liddell whilst the remainder marched with Sir Hugh Rose in his pursuit of Tantia Topi. At the fort of Lohari the 3rd Europeans stormed the stronghold with a Private of their number, a bugler, being the first man through the door. The bugler together with two 3rd European officers immediately fell as casualties, but the weight of the 3rd Bombay European Regiment was too much and the fort was overrun. These were desperate times and for the losers there was only death as every captured male was executed. For the victors the reward, and the bugler private who made it through the door first, Private Whirlpool, he won the Victoria Cross. Onward went the 3rd Bombay European Regiment and on the 7th May they marched off for Koonch and thence to Calpee. 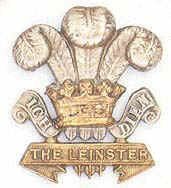 This is quickly said, but involved marching over twenty miles with full kit in temperatures exceeding 117 degrees, and in such temperatures there were many casualties due to heat exhaustion, for amongst all the units in the force, only the 3rd Bombay European Regiment marched in lightweight khaki cotton, the rest were in heavy duty red. The fighting that took place at Calpee was ferocious with the heat inflicting as many casualties as their foe. Tantia Topi's army attacked the British and at one stage Rose again led from the from the front as the 86th, the 3rd Europeans and the 25th Native Infantry advanced in the hand to hand fighting. Temperature was now recorded as 118 degrees in the shade and all the officers of the Central India Field Force were suffering severe effects of the sun. Yet onward marched the Regiment and in the victory of Calpee the 3rd Bombay European Regiment contributed much in battle. Yet Tantia Topi's army refused to admit defeat. Bolstered by the Rani of Jhansi and her escape from Jhansi, Tantia Topi had captured Gwalior. Whilst Rose once more took his force off to recapture Gwalior he did so without the 3rd Bombay European Regiment who were initially left to garrison Calpee, and by the time they arrived at Gwalior on the 18th June the order of battle did not require them in the front line. At Gwalior the Rani of Jhansi was killed in action and it was not until April 1859 that Tantia Topi was executed. The Indian Mutiny was over and in May 1859 the 3rd Bombay European Regiment moved to Mhow where it was soon to discover that after all their loyal fighting for the Crown, they were to be disbanded as an European Regiment of the East India Company and become the 109th Bombay Infantry.